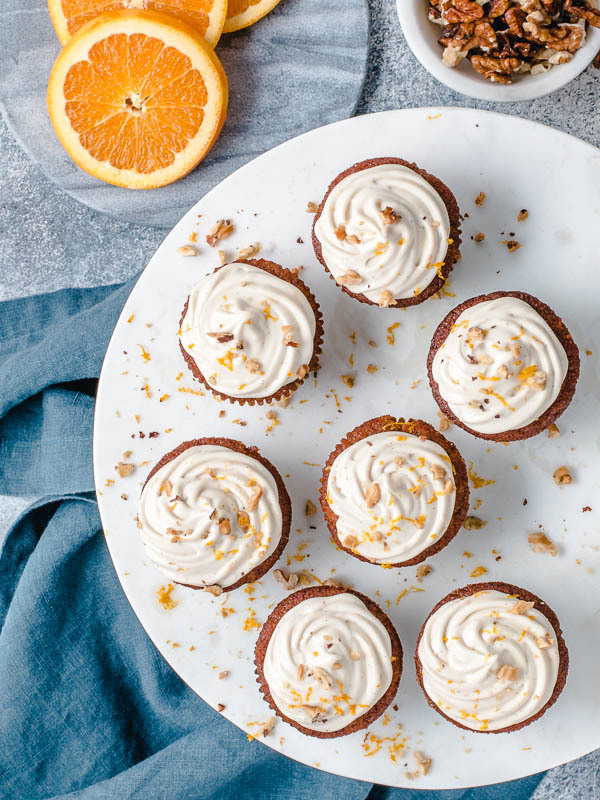 These carrot cake cupcakes are loaded with flavor and texture, you would never know they are gluten and dairy free. So moist and easy to make, you guys are going to love these cupcakes. Dessi is at it again! She made these gluten free carrot cake cupcakes the other day and she nailed it from the first attempt. The cupcakes are loaded with nuts, raisins, shredded carrots, and have so much flavor. Then they are topped with dairy free cream cheese and maple frosting. So darn good! 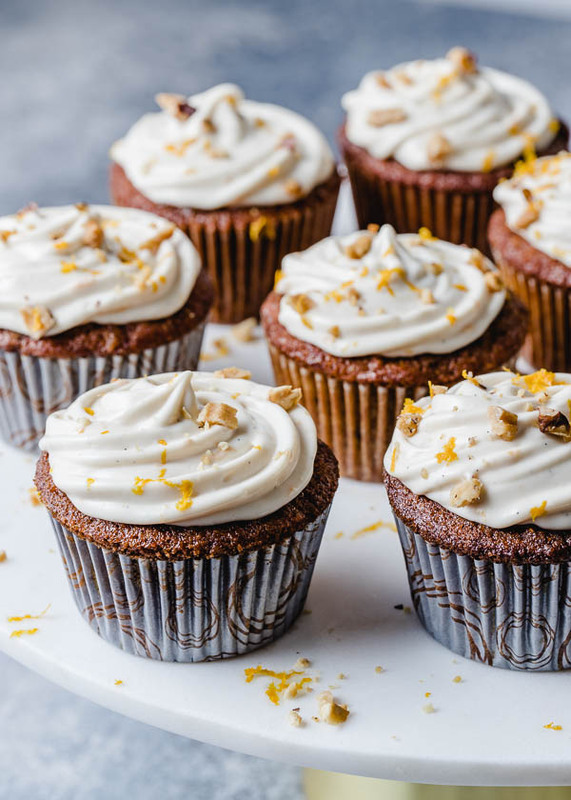 It’s insane to think these carrot cake cupcakes are gluten and dairy free, because they taste just like the real thing, if not better. 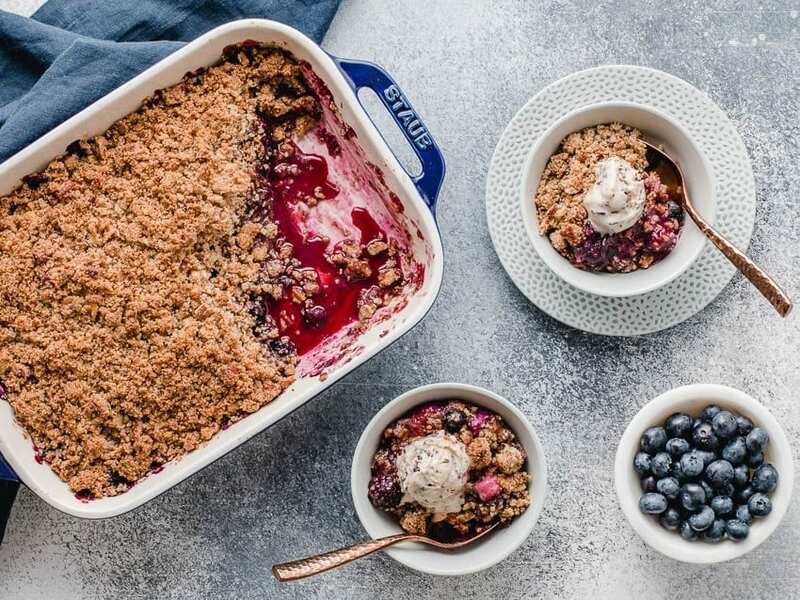 Make sure to check out Dessi’s gluten free berry crisp recipe from the other day. The cupcakes are gluten free thanks to the fact we are using almond, millet flour and some arrowroot starch. Always buy almond flour at Costco, it’s an unbeatable price. You can find millet flour from Bob’s Red Mill. First combine all of the dry ingredients in a large bowl, the flours, tapioca starch, cinnamon, ginger, nutmeg, baking powder and soda, and salt. Mix well and set aside. Next, mix all of the wet ingredients in a large bowl: 3 eggs, virgin coconut oil, coconut sugar, orange zest and juice, vanilla paste, and rum (optional). Pour the wet batter on top of the dry and mix well. 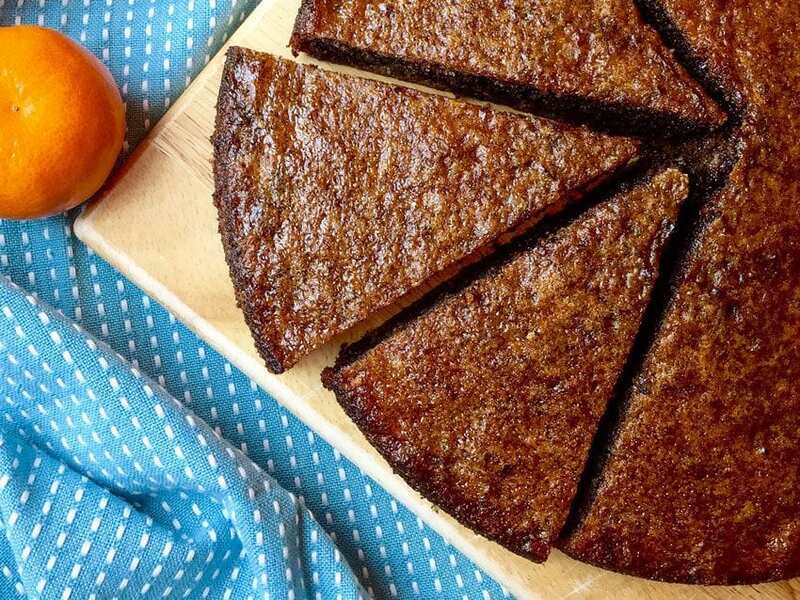 You don’t have to worry about overmixing the batter since it’s gluten free and won’t become tough like with AP flour. Finally, mix in the grated carrots, roasted and chopped walnuts, and 1/2 cup raisins. Bake in a 350F oven for 25-30 minutes, or until a toothpick comes out clean. How To Make Dairy Free Cream Cheese Frosting? The process to make dairy free cream cheese frosting is the same as regular, just make sure to buy good quality cream cheese. I like Kite Hill plain cream cheese made with almonds. The texture is just like the real thing. Bring an 8 ounce container to room temperature that will make it easier to whip. Combine the cream cheese with maple syrup, vanilla paste, and orange zest. 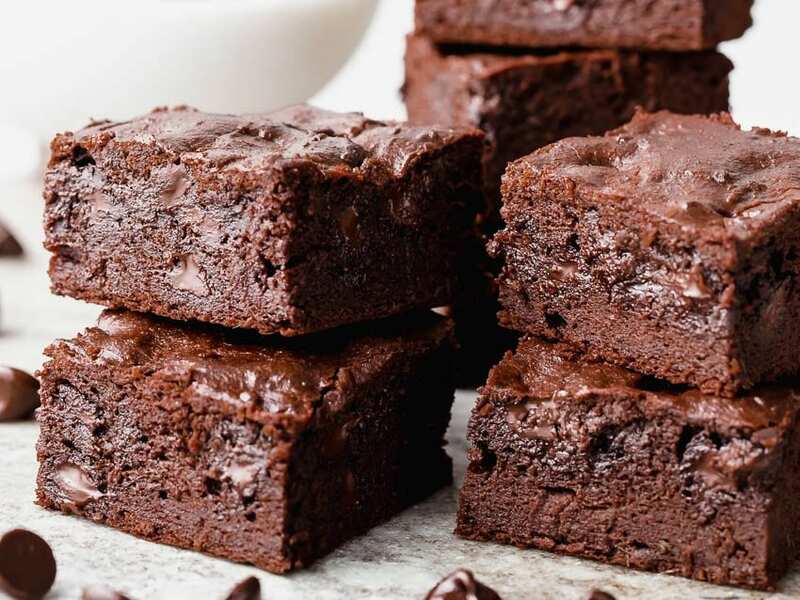 The frosting will most likely need to be chilled in the freezer for 10 minutes, or in the fridge for 30 minutes or overnight. Once the cupcakes have cooled down, pipe the frosting on and enjoy! 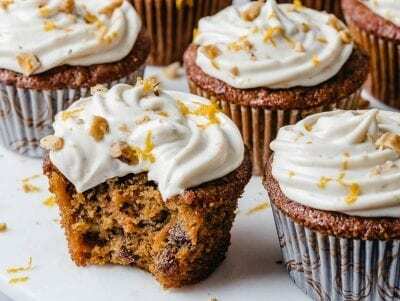 How Long Will Carrot Cake Cupcakes Last? You can store the cupcakes in the fridge for 4 days or freeze without the frosting for 3 months. The frosting will get grainy if frozen. 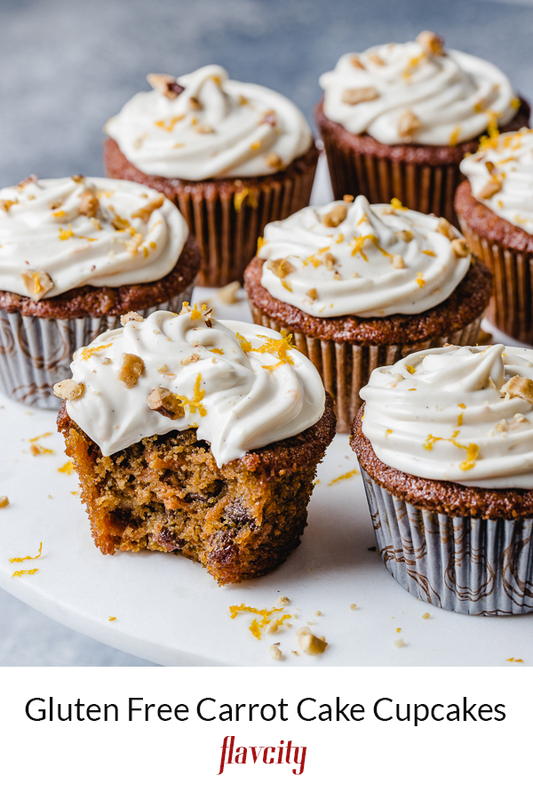 These cupcakes are loaded with nuts, carrots, spices and raisin and are full of flavor! The coconut oil gives them a soft texture and when you frost them with a cream cheese frosting they are simply to die for! 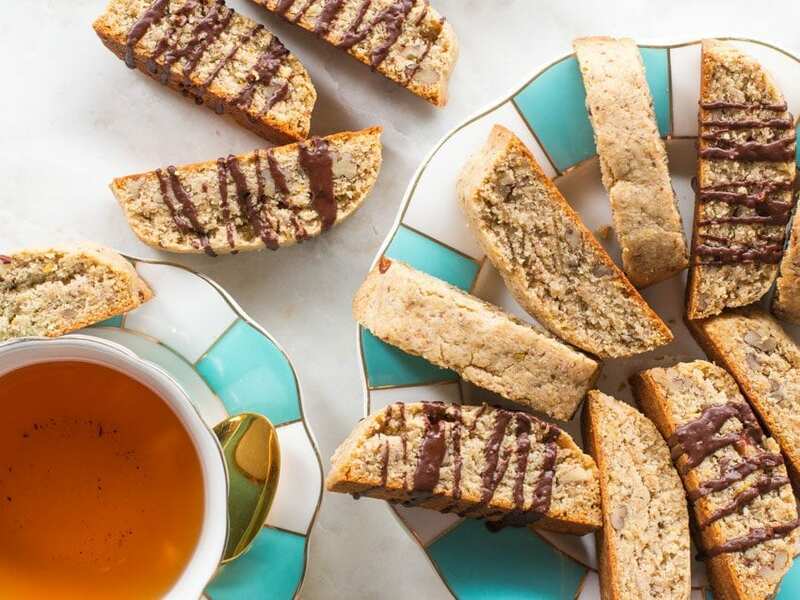 In bowl, combine all the dry ingredients: almond flour, millet flour, arrowroot starch, cinnamon, ginger powder, nutmeg, baking powder, baking soda, and salt. Use a whisk to thoroughly combine. In another bowl, beat the eggs with a hand mixer, and slowly add the coconut sugar. Beat until mixture looks fluffy and sugar has dissolved. Add the melted coconut oil (making sure it’s not hot), the orange zest, orange juice, vanilla paste and rum. Beat to combine. Add the dry ingredients on top of the wet and beat with mixer until thoroughly combined. Add the shredded carrots, walnuts, raisins and mix with a spatula to thoroughly combine. Pour mixture into muffin tin lined with liners. Fill up the liners almost all the way up. You may have some extra mixture left if you are using only 1 pan that holds 12 cupcakes. You can bake the rest after the first batch is done. Bake for 25-30 min, or until toothpick inserted in middle comes out clean. To make the frosting, combine all the cream cheese, maple syrup, vanilla and orange zest, and use a whisk to mix them thoroughly. If the mixture is too loose, put it in the freezer for about 15 minutes. Frost the cupcakes once they are completely cooled off. Garnish with more chopped walnuts and orange zest.